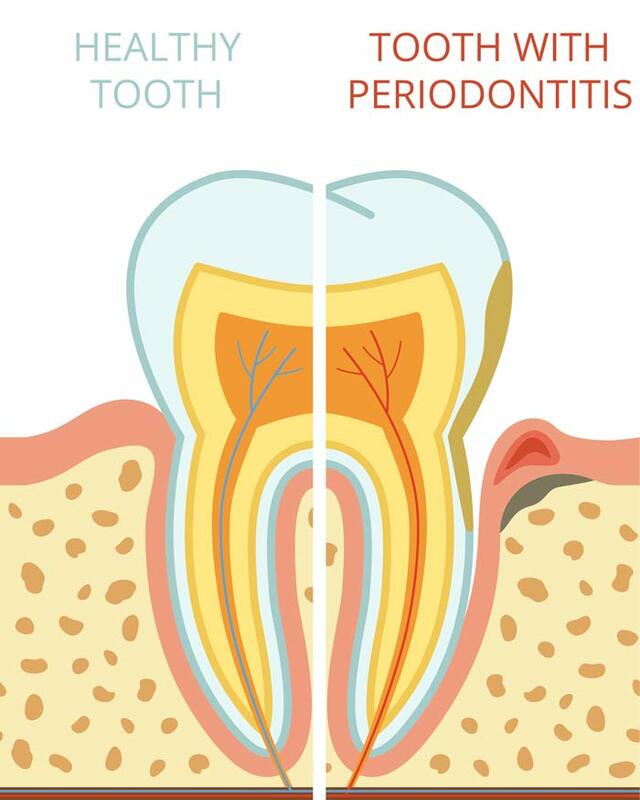 Periodontal disease, or periodontitis, is caused by incorrect brushing and not flossing regularly. Vigorously overscrubbing can wear away the gums and create gaps where food, plaque, tartar and bacteria can build up, or improper dental care can allow these irritants to build up between teeth. Eventually, these offenders will cause irritation to the surrounding gum tissues. As the periodontal disease progresses, the spaces enlarge, and can eventually expose sensitive root areas. More seriously, when these irritants remain in the pocket spaces, they can permanently damage the gums and eventually cause the bone supporting your teeth to dissolve away. Periodontitis is frequently a silent disease that often does not cause discomfort until an emergency occurs. In that case, it may be too late to save the injured teeth. They may need to be removed. Regular twice-a-year professional dental cleanings are highly recommended to clear areas where patients miss the irritating food and debris are recommended to help periodontal disease from either occurring or worsening. Your dentist may also alert you to the beginnings of periodontal gum disease through a regular examination. Depending upon the type and severity of a patient’s periodontal gum disease, EverSmile Dentistry can recommend appropriate treatments that include non-surgical options. This will occasionally involve a deep cleaning using a liquid anesthesia or numbing without the need for injections. 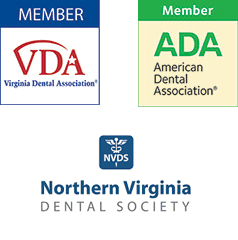 For progressive gum disease, we occasionally refer patients to a gum specialist or periodontist for more extensive treatment, including gum surgery. Periodontal treatment can also include treatment for gum recession and improvement of an uneven or gummy smile. If you have not visited a dentist in a while, we recommend coming in to EverSmile Dentistry for a cleaning and evaluation.